Burger Lounge is home to the “original grassfed burger” and winner of the 2013 San Diego Magazine Reader Poll in the Best Burger category. This award-winning burger restaurant puts a tasty gourmet grassfed spin on the All-American classic hamburger. In fact, if you’ve traveled to any one of San Diego’s many trendy enclave neighborhoods, you’ve most likely come across a Burger Lounge. Burger Lounge is not only known for their gourmet grassfed burgers, but also for their eco-conscious business practices. They are bringing that same integrity to three new limited time menu items beginning this month. Burger Lounge offers a clean, fresh dining environment that reflects their commitment to simple delicious flavor. The decor is modern, with clean lines and bright pops of orange color. Guests order in a walk-up style, and full service is provided at sit down. Some locations offer more seating than others, so if you plan to eat in, it’s best to go at off hours to avoid a long wait. The Burger Lounge Del Mar location is pretty spacious and located just minutes from the San Diego fair grounds and Del Mar race track in the Flower Hill Promenade. The La Jolla location is delightfully close to the beach, so you can grab that gourmet grass fed burger to go and head to the shore for an impromptu picnic. The cornerstone of Burger Lounge’s menu is of course The Lounge Burger which is made with their hand formed single source 100% American grassfed burger patty. Burger Lounge also believes in making their sauces and dressings from scratch. Even organic ketchup? You bet. From patties and buns to sauces and dressings and everything in between, most of what Burger Lounge proudly serves is in the words of CEO J. Dean Loring “thoughtfully procured mostly organic sustainable ingredients.” The Lounge Burger is a great choice for the burger purist – just pure, simple flavor. Burger lounge has just re-introduced a limited time seasonal gourmet burger menu that features savory and flavorful game meats like Bison, Wild Boar and Elk. They will be rolling out 3 different burgers over the next several months starting with the grass fed bison for October 2013. Each item will stay on the menu for sixty days. All three burgers are also available with a gluten free bun or lettuce wrap. 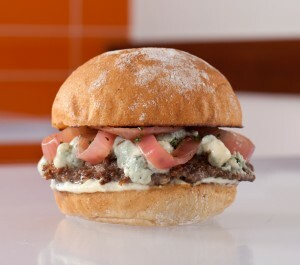 Grass Fed Bison: Served on the signature Lounge Bun with blue cheese, pickled onion, roasted garlic aioli. Wild Boar: Served on the signature Lounge Bun with crispy onion rings, smoked mozzarella and house‐made BBQ. Elk: Served on the signature Lounge Bun with jicama slaw, crispy pork belly, chipotle aioli. You don’t have to be a meat lover to enjoy eating at Burger Lounge. If you are a vegetarian, go for the Quinoa and Spinach Salad as well as their seared Wild Albacore sandwich. Quinoa Salad: Served with arugula, spinach, kale, roasted baby squash, corn, tomato, red onion, toasted almonds, feta, with smoked tomato vinaigrette. Want it vegan? Ask for it without feta. Wild Albacore: Seared to order and served with a roasted tomato relish, baby watercress and lemon-basil aioli. *The Wild Albacore is a permanent menu addition. For a full list of menu items, visit burgerlounge.com. Burger Lounge was founded in 2007 by J. Dean Loring and Michael Gilligan. They believe in “doing a common thing, uncommonly well” and redefining the way diners experience a burger. 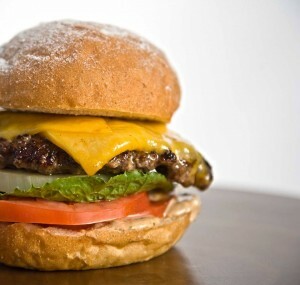 There are eleven Burger Lounge locations throughout Southern California, seven located in San Diego County. To read about Burger Lounge’s story and their commitment to grass fed beef visit them online at burgerlounge.com. To connect with them via social media, you can follow Burger Lounge on Twitter (@BurgerLounge) and Facebook.